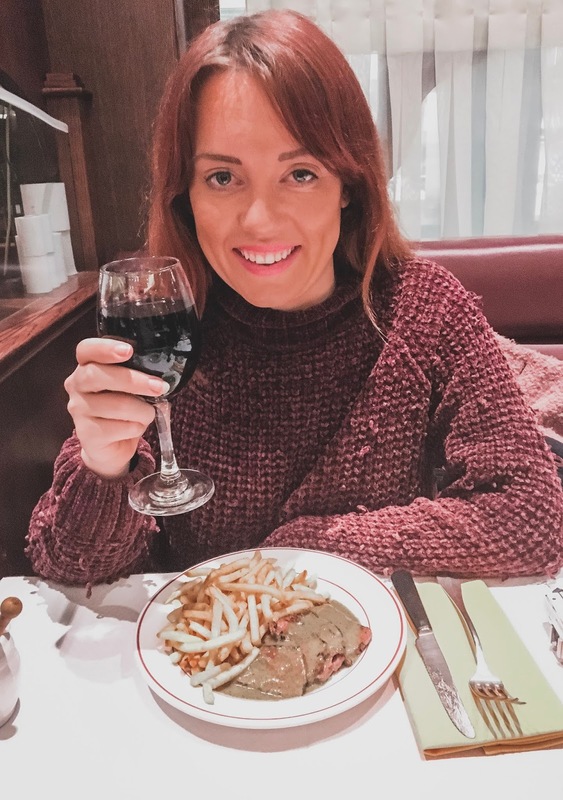 What Larsy Loves - A Lifestyle Blog : IS THIS THE BEST VALUE STEAK & CHIPS IN LONDON? IS THIS THE BEST VALUE STEAK & CHIPS IN LONDON? The best value steak and chips in London. 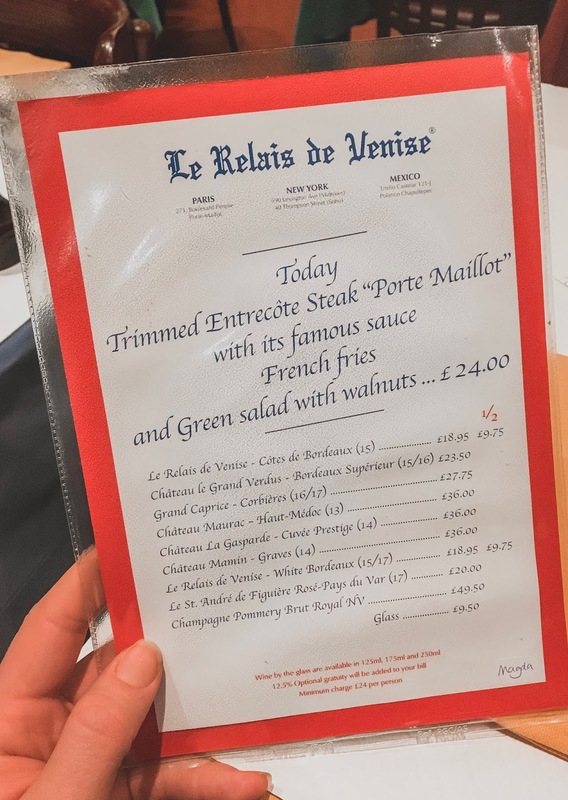 It's a pretty bold claim, I know, but it's one I'm confident in making when it comes to Le Relais de Venise L'Entrecôte. 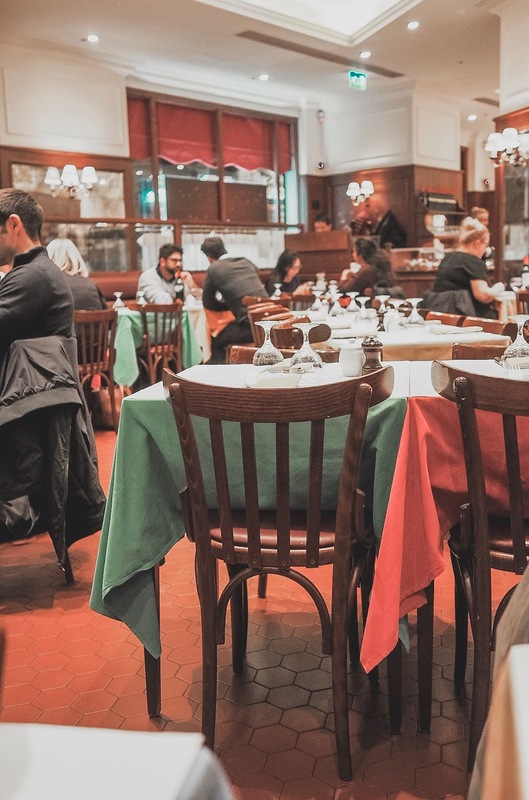 If you're ever been to Paris, you'll probably know this restaurant already. It's a place where the Steak Frites are so good, even Parisians are prepared to queue around the block for them, just like my mum and I did on our first visit around four years ago. 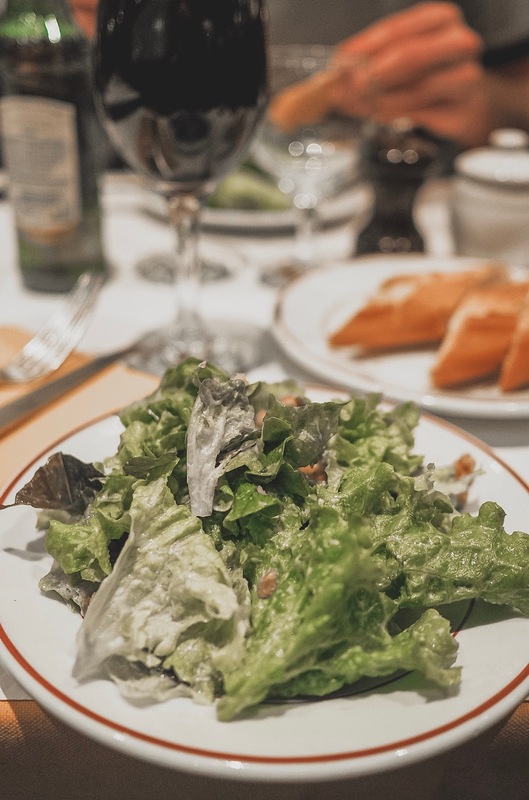 Luckily for us Brits, they also decided to set up shop in the UK with three London restaurants, decked out with the same yellow napkins, black and white waitresses uniforms and gorgeous decor as the stylish Parisian counterparts. The concept is exactly the same too. There's one set menu so all you tell the waitress is how you want your steak cooked and what you'd like to drink. A dream for the indecisive diner. 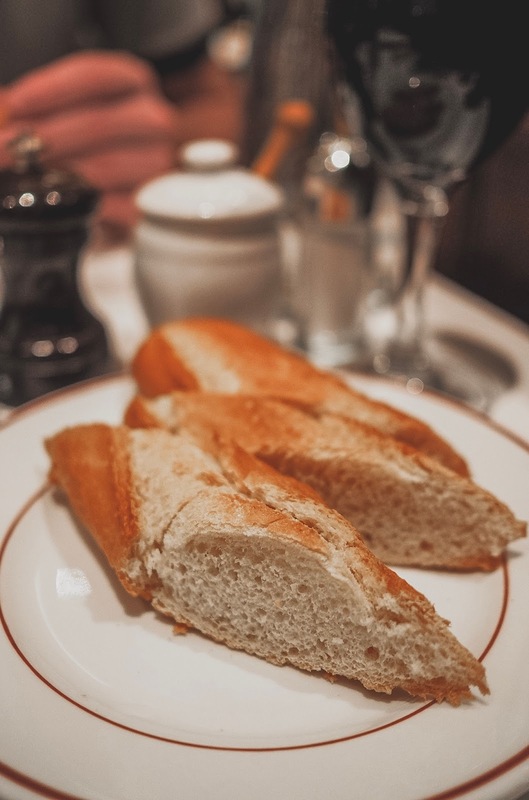 and a couple of rounds of crusty baguette. Then it's on to the main event. 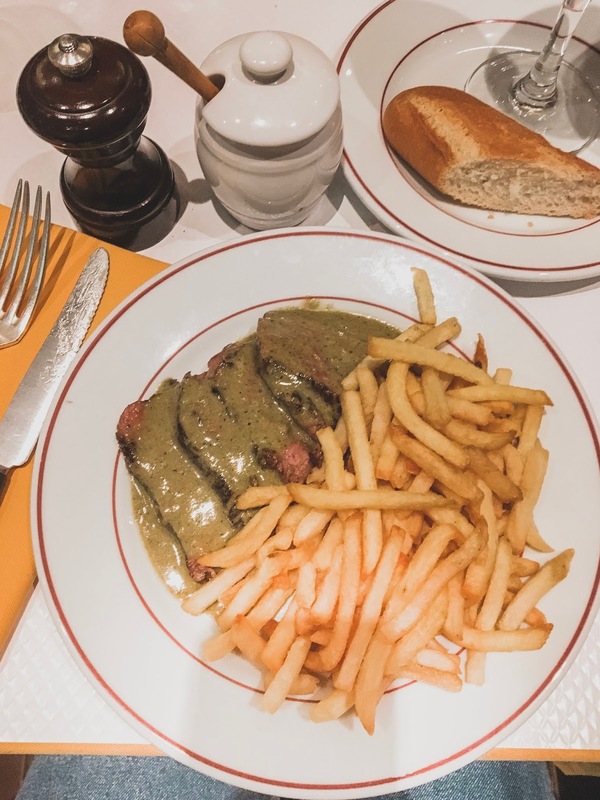 Thick slices of perfectly cooked entrecote steak are served table-side, in the secret 'Le Relais' sauce with a mountain of fries. The steak here is cooked one of three ways: blue, rare or medium - with no in-betweens. And the very best bit? The waitress will re-fill your plate with more steak and fries as soon as you cleared your first round - tell me that's not value for money! At £24 per head - it's an absolute steal. You'd be hard pressed to find a better value two-course steak dinner in London - I promise you! If you fancy giving them a go, there's branches in Soho, Marylebone and this one where we visited in the City - I highly recommend it!